• the connection between a wall and its stiffening wall, is designed to resist developed tension and compression forces, by anchors or ties or other similar means. - and the stiffening wall should extend a distance of at least 1/5 of the storey height, beyond each opening. 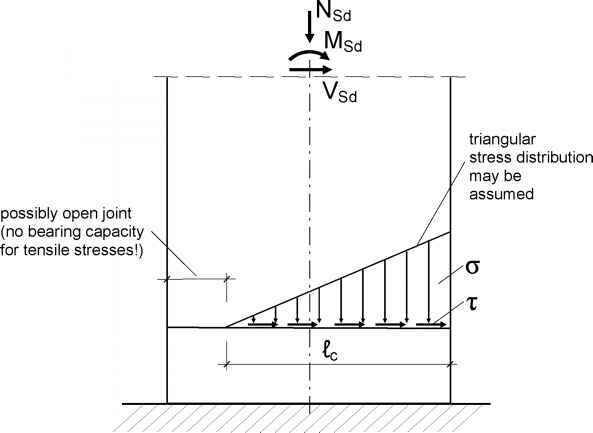 (4) Alternatively, walls may be stiffened by members other than masonry walls, provided that they have the equivalent stiffness of the masonry stiffening wall, and that they are connected to the stiffened wall with anchors or ties, designed to resist the tension and compression forces that will develop. How is a masonery wall stiffened? What is stifeening wall means? 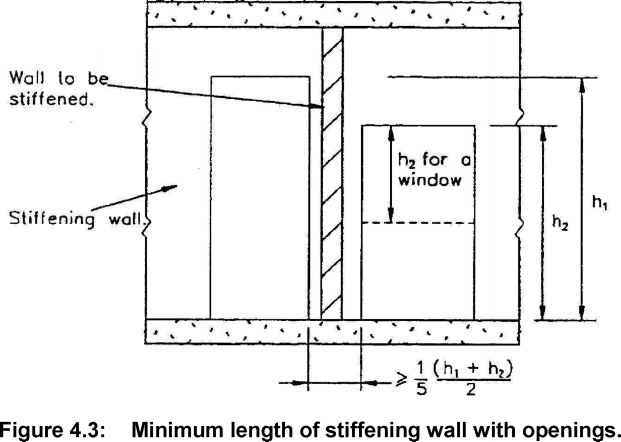 What is stiffened and unstiffened wall?